Meet and greet at your hotel at 8.00am. Start traveling south for about 2 hours from Ho Chi Minh City to My Tho, the gateway to the Mekong Delta. Known as the “rice bowl” of Vietnam, the Delta is the most fertile region in the country, and the main producer of rice and tropical fruits. From My Tho, take a scenic cruise across the Tien river to Unicorn island, where we will visit a honey bee farm and taste honeybee tea. 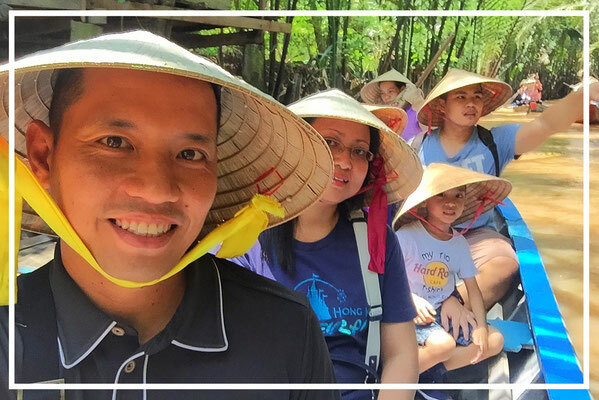 After watching a local cultural song and dance performance, we will take a slow walk through a fruit orchard, before embarking on a slow sampan ride through an interesting winding canal. After leaving Unicorn Island, Phoenix Island beckons; the site of the coconut candy workshop, where you can learn how coconut candy is processed by hand, and even buy gifts of pure coconut oil and other items. Finally, we will visit a local mosque in My Tho, and enjoy lunch at a local Halal restaurant, before heading back to Ho Chi Minh city. Return to your hotel at about 4.00pm. And for those who can't get enough of My Tho, an evening firefly tour through the mangrove is also available upon request.